The Zoo is easy to find, just 15 minutes from downtown Louisville, KY and easily accessible from I-64 and I-65. Take I-264 (Watterson Expressway) toward airport to Poplar Level Road exit #14 and travel north. Follow the black and white Zoo signs to 1100 Trevilian Way. 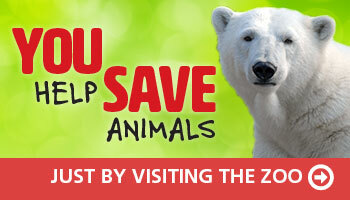 The Louisville Zoo partners with a variety of local hotels for discounted ticket programs. Visit the Louisville convention & Visitors Bureau website for great tips, destinations, maps and so much more. The Transit Authority of River City has several bus lines that service the Louisville Zoo.